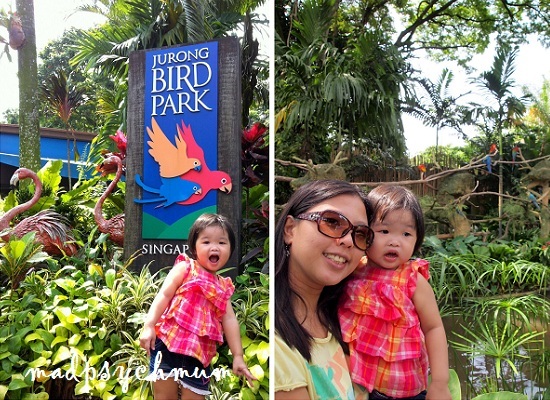 We made a promise to my girl to bring her to Jurong Bird Park when we're back from Hokkaido so despite feeling very tired, we made our way there the morning we returned to Singapore. 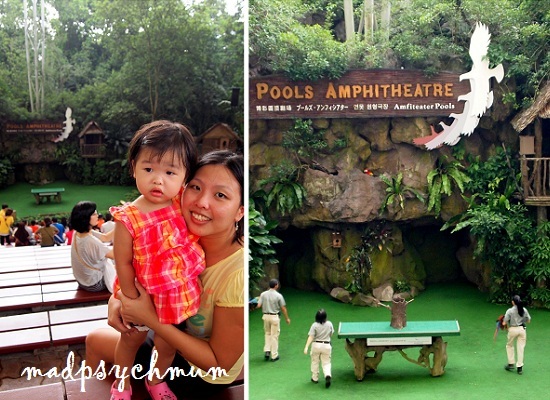 It was our family bonding day with my little girl, whom we haven't seen in a week. 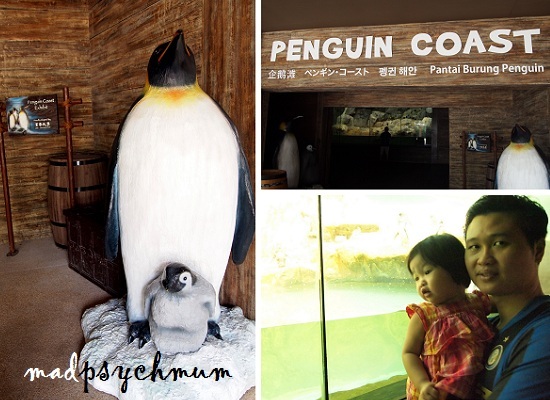 We started our day at the habitat of the penguins, one of my girl's favourite animals. 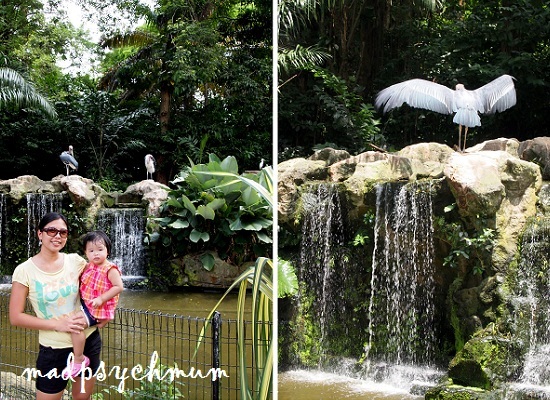 She loved the penguins but as it wasn't feeding time yet, we decided to bring her back again later. 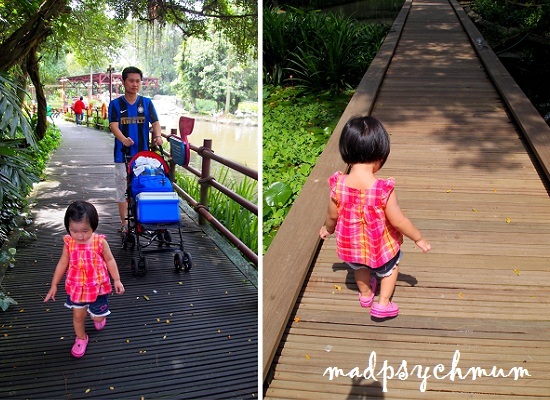 It was off to explore the rest of the park and feed the fish with the bread we brought. Unlike the fish at the Botanical Gardens, the koi were starving! It was only after we had finished all the bread we had that my girl was finally willing to go. 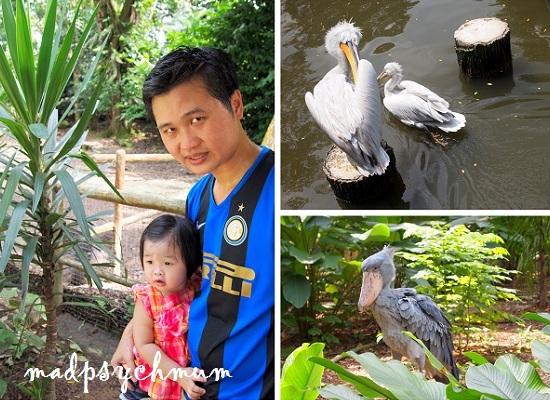 We continued on our exploration and saw all sorts of birds such as pelicans, cranes, flamingos and our personal favourite, the owls. There was a really nice boardwalk near the pelican habitat and it was the only time my girl was willing to walk and not beg to be carried. 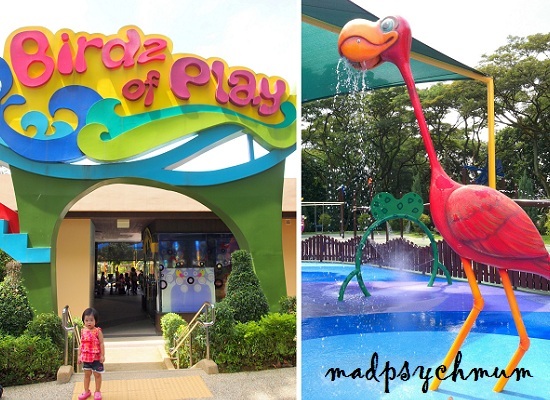 As it was nearing her nap time, we hurried quickly to the place kids call heaven on earth.. the playground! 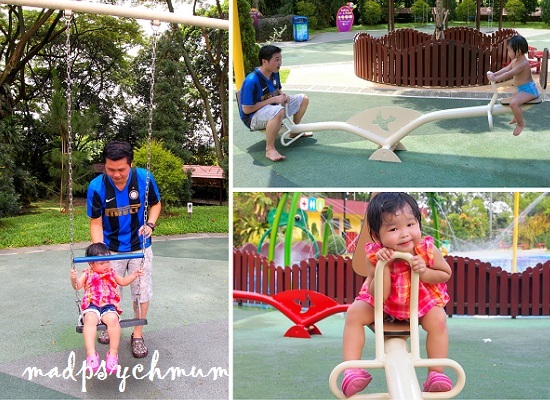 Up and down the seesaw! Of course she was thoroughly tired out after playing there for more than an hour and fell fast asleep on her stroller. When she finally awoke less than 1 hour later, we made our way to the Pools Amphitheatre where the Birds n Buddies show was about to begin. We watched as the birds flew above our heads, did tricks and interacted with the audience. After the feeding, we decided to leave the park as the rain was just too heavy to continue on. 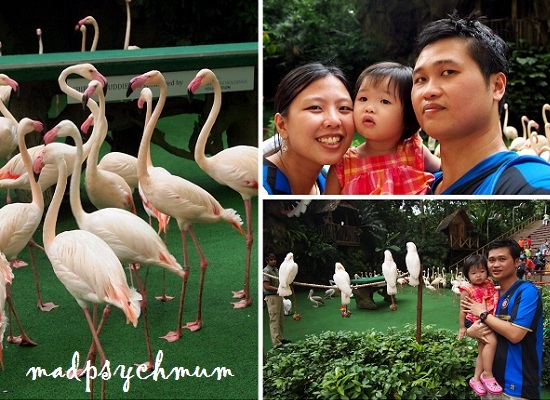 Before we left, her daddy wanted to buy her a cute, medium-sized, pink flamingo soft toy as a souvenir but she rejected it. "I don't want, I want this one!" she said. Turns out she preferred the much smaller White Owl. She liked to hold the tips of its wings and flap it up and down. I really have no idea why she loved it so much but she just did. "I like my baby owl Mummy!"